Mastering these top five leadership skills could help further your career and the dietetics profession starting now and in the years to come. It’s now 2014, a new year that’s about to present greater opportunities and new challenges in the dietetics field that many nutrition professionals are sure to embrace. Rapidly changing technology, the advancing medical field, health care competition, and nutrition science are the chief reasons why the nutrition landscape continues to evolve and change. In response, the Academy of Nutrition and Dietetics (the Academy) is calling for all dietitians to be the nation’s food and nutrition leaders. Read on to find out what’s in store for the nutrition profession as well as the top five leadership skills every dietitian will need in 2014 and beyond to succeed and foster lasting change. The US Bureau of Labor and Statistics predicts that the employment of dietitians and nutritionists will increase 20% from 2010 to 2020; that’s 6% faster than the average 14% growth of all occupations. Leadership opportunities for dietitians will continue to present themselves in supermarkets, schools, foodservice institutions, corporations, and culinary and clinical settings. They also will be found in long term care facilities, private practice, research, international endeavors, and entrepreneurship. 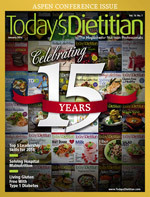 The Dietetics Workforce Demand Study, published in the March 2012 supplement of the Journal of the Academy of Nutrition and Dietetics, identified 10 change drivers that will affect the future dietetics workforce. The ones with the highest impact will be associated with the aging population, workforce diversity, and interdisciplinary teams. Dietetics education, general practitioners, technology, personalized nutrition, and the food industry, also were discussed. These change drivers dictate the leadership skills dietitians will need in the future, including those that support flexibility and fluidity in the nutrition profession. Gone are the days when IQ and technical abilities were the measures of leadership. Today, leadership is measured by the following five skills: collaboration, communication, authentic leadership, vision, and innovation. Collaboration involves exchanging ideas, setting goals, developing strategies, and divvying up responsibilities with colleagues to produce results, which is best seen in a teamwork setting. Working with other health care professionals both inside and outside of the nutrition profession will position dietitians to take leadership roles on various medical teams and in nutrition support services, foodservice and marketing departments, informatics, and culinary businesses. Collaboration occurs every day in all jobs in the nutrition profession: As researchers, dietitians work side by side with other researchers and experts in their field; as pediatric private practitioners, they work in tandem with other RDs and staff members, pediatricians, health care providers, families and their communities, schools, and day care centers. • Share your knowledge. A day doesn’t pass in which Robin Plotkin, RD, LD, a Texas-based culinary and nutrition expert who blogs at RobinsBite.com, doesn’t collaborate with another dietitian, food stylist, intern, or someone on Twitter. “Good ideas become great when you’re aligned with the right people,” she says. Plotkin describes herself as a natural “mix master,” bringing together groups of people who may not know one another. She knows that working on projects together provides plenty of opportunities to teach and be taught. • Model the behavior of collaboration. Dietitians should become a role model for collaboration in their own work environment. They should show dietetics students and interns how to communicate and exchange ideas, set goals, create strategies, and divide responsibilities to get results and achieve success. • Network with other medical professionals. Medical teams such as those that care for eating disorder and nutrition support patients require dietitians to work with other professionals, including psychologists, pharmacists, managed care nurses, and physicians, to heal patients. Serving on medical teams is part of the future of nutrition professionals; in fact, these teams are waiting for dietitians to become leaders. Effective communication strengthens the collaborative efforts among health care practitioners. Strong communication skills involve the ability to express words and ideas clearly and concisely and to listen to others and reiterate what they just said. Effective communication skills also include the ability to relay scientific evidence-based nutrition information via print, video, and various social media channels. Nebraska-based dietitian Amber Pankonin, MS, RD, CSP, LMNT, knows much about communicating effectively through social media, using it to recruit speakers, meet new people, keep in touch with reporters and local and national news sources, and strengthen current relationships. Looking at what others post enables her to understand how she can best sell to them and helps her promote her brand by directing people to her blog and Twitter page. “If your customers or target market isn’t listening to you, then it’s listening to somebody else who may not be the nutrition expert,” she says. • Network via social media. Dietitians can post recipes on Pinterest, tweet opinions on Twitter, flash news on Facebook, and link professional articles on LinkedIn to help spread nutrition messages, build their brand, market their business, or connect with clients. However, before diving into social media, they should clarify their goals so they can decide which social media platform works best for them and truly reaches their audience instead of trying to use all available options simultaneously. • Attend professional networking groups in the community. The chamber of commerce is one of the easiest ways to get in touch with other professionals in the area. In addition, dietitians can network with other RDs through local dietetic practice groups and state affiliations. Charity events and faith-based and volunteer organizations are optimal places to network across professions. • Consider becoming a mentor. Informal or formal mentoring programs can help staff build relationships for future advancement. Mentors and mentees share business strategies and goals, and they help one another grow and reach the next level in their careers. Dietitians can find a list of opportunities to become a mentor or create a mentoring program through the Academy’s eMentoring Platform at http://mentoring.eatright.org/public/page.cfm?id=20. • Learn to speak well. Dietitians can join Toastmasters International (www.toastmasters.org) to learn basic presentation skills or the National Speakers Association (www.nsaspeaker.org) to learn the business side of professional speaking. These organizations support dietitians who offer professional speaking services. The organizations enable dietitians to educate, inform, and inspire the public and other professionals interested in learning more about nutrition. Once nutrition professionals develop effective communication skills, they can practice authentic leadership. Being an authentic leader means being true to who you are as a person and as a professional; it means embracing your values and what you believe in. It’s not about imitating someone else’s personality, work ethic, or leadership abilities. There are many leadership styles. Some leaders are visionaries or coaches, while others are more autocratic or task oriented. For example, merging a nutrition business and medical practice may take the sensitive negotiating of one leader, while enforcing a turnaround of a corporate wellness company may take a more assertive authority. But no matter what leadership style dietitians have, being true to that particular style is what matters. Research on emotional intelligence and authentic leadership by Daniel Goleman, PhD, a psychologist and author of Emotional Intelligence and Social Intelligence, found that traditional leadership qualities such as intelligence, toughness, determination, and vision just aren’t enough to succeed. Truly effective leaders have self-awareness and social skills, are self-regulated and motivated, and express empathy. “Emotional intelligence is what makes people successful and, with time and commitment, it can be learned,” Goleman wrote in Emotional Intelligence. • Know thyself. Being a true leader means knowing your strengths and weaknesses, not compromising your values, and following your passion. Nutrition professionals interested in assessing their strengths can read StrengthsFinder 2.0 and Strengths Based Leadership by Tom Rath. To determine their personality type, dietitians can take the Myers-Briggs Type Indicator personality inventory test (available free online). • Support and inspire. Dietitians can inspire their colleagues by sharing personal stories about their successes and failures, which demonstrates that RDs are aware of their mistakes and are willing to improve upon them. Showing vulnerability often engages and draws people in. • Listen to feedback—both good and bad. According to the February 2007 Harvard Business Review article “Discovering Your Authentic Leadership,” authentic leaders must be willing to listen to feedback, especially the kind they don’t want to hear. For example, Jane Andrews, corporate nutrition manager at Wegmans Food Markets, asks for feedback after meetings, so she and her team can tackle problems immediately before they become huge issues and time wasters. Authentic leaders often are visionaries who can foresee trends and therefore lead their teams toward the future, and visionaries are forward thinkers and risk takers. Through observation, trends analysis, and research, visionary leaders keep employees motivated and working toward the big picture. Being a “visionary is somewhat of an inborn trait, and while you can learn many leadership skills this one might be tough to learn,” according to Nancy Collins, PhD, RD, LD/N, FAPWCA, FAND, founder and executive director of Nutrition411.com, a website that offers resources, networking opportunities, and tools to optimize the delivery of nutrition and health services for dietitians and other health care professionals. • Communicate your vision to your team. Dietitians should discuss the company’s mission, higher purpose, and values with employees and ask for their input. The company’s values should align with those of the employees so everyone is on the same page. Rebecca Bitzer, MS, RD/LD, CEDRD, owner of Rebecca Bitzer & Associates, which provides nutrition programs and services in the Washington, D.C., metro area, makes sure that she communicates her company’s values to her team of dietitians, which include offering services that make a difference, being the best, and showing compassion. Practicing these values ensures patients receive the best care and experience the best clinical outcomes. • Read about what you want to become. Business-focused books such as Good to Great by Jim Collins and The 7 Habits of Highly Effective People by Stephen Covey have inspired many visionaries. Magazines such as SUCCESS, Harvard Business Review, and Entrepreneur as well as professional newsletters and journals, including Nutrition Action and the Journal of the Academy of Nutrition and Dietetics, can help develop ideas and spark creativity. • Keep abreast of future trends. Dietitians should do this through the news media, social media, blogs, professional conferences, and networking events. Nutrition business owners can challenge themselves to spot trends early so they can be the first to solve an ongoing problem or meet a need in the marketplace. As an RD certified to treat eating disorders, Setnick took the initiative to develop the Eating Disorders Boot Camp, a home-study course and series of live workshops aimed at teaching nutrition professionals treatment techniques to counsel patients with eating disorders. She’s also published the Eating Disorders Clinical Pocket Guide and produced the Eating Disorders Nutrition Counseling Training DVD to creatively educate dietitians about eating disorders. • Dare, dream, and take risks. Dietitians must dare to apply their talents and expertise, and do what they’ve always dreamed of doing. For example, Barbara Storper, MS, RD, founded FoodPlay Productions, evidence-based national theater shows aimed at empowering children with the skills they need to make healthful lifestyle choices. And Jill Jayne, MS, RD, is the country’s only rock star nutritionist and an expert in creating and delivering interactive media about health to kids and families. Jayne created the live rock and roll nutrition show Jump With Jill, an audio CD, and the Nutrition Rock Invasion teacher toolkit to spread her health messages. • Get trained and certified. RDs should specialize in different areas of the profession and obtain certification to demonstrate their knowledge and expertise. Certifications are available in areas such as gerontology, sports nutrition, pediatric nutrition, oncology, and renal nutrition. • Cross-train. Dietitians can complement their nutrition training with other advanced degrees in business, communications, science, law, education, culinary arts, liberal arts, and performing arts to position themselves to serve in leadership roles. As the nutrition profession continues to rapidly evolve and change, prompted by advances in technology, medicine, and nutrition science, it will be even more important for RDs and related professionals to educate themselves, keep abreast of the latest trends and research, and serve as true leaders in the food and nutrition field. The changing landscape of the health care community along with the establishment of health care reform will present more career opportunities for nutrition professionals than ever before, opening the door for them to step into leadership roles. To step into such positions, however, dietitians must strengthen or develop the five leadership skills, which can help promote visibility and add value as members of interdisciplinary health care teams. Leadership skills also will allow dietitians to spread nutrition messages, build their brands and businesses, communicate more effectively with clients and patients, enhance counseling sessions, and ultimately improve patient care. — Emma Fogt, MBA, MS, RDN, LDN, FAND, is an international speaker on women’s leadership and wellness and is coauthor of the forthcoming book Having Your All, How to Lead an Energized, Effective and Empowered Life. She’s also past chair of the Nutrition Entrepreneur Dietetic Practice Group.